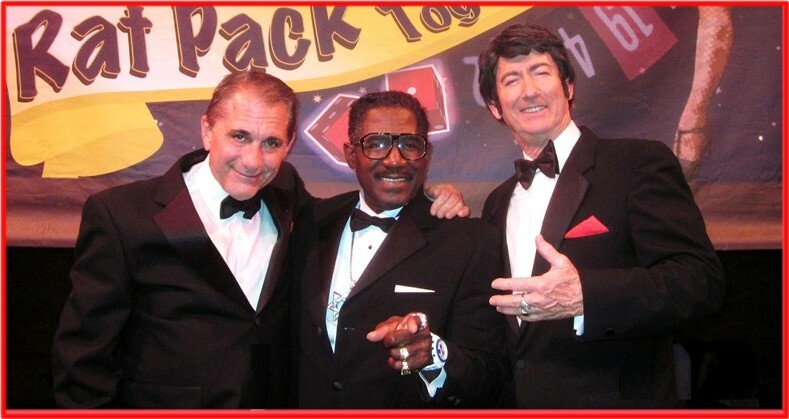 Tony Sands as "Frank Sinatra" Geno Monroe as 'Sammy Davis, Jr." Tim Beasley as 'Dean Martin"
These 3 guys had a ball entertaining recently in the historic Mishler Theatre in Altoona, PA...Working as seasoned pros, they knocked a home run with the crowd. The show was so good many of the guests during the "meet and greet" in the lobby after the show asked the theatre on the spot to please book them again for a big "Christmas with the Rat Pack" show! This is the kind of reaction they always generate! Cruises! Celebrations - Anniversaries - Weddings! Resorts & Tourists Areas! Grand Openings! Sales Promos! 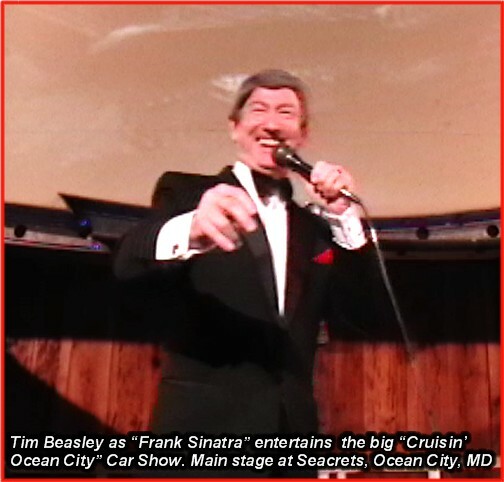 As "Dean Martin," Tim Beasley has performed with several national and popular "Rat Pack" shows. His most recent group he enjoys performing with is has Tony Sands as "Frank" and Geno Monroe as "Sammy" and another past group is based in Atlanta. "Rat Pack" show groups have sought him out to join them in specific dates. He likes the flexiblity to join in the fun with a larger 3-man ensemble of professionals like himself. In the case of a "Rat Pack pinch," as a "hired gun" on the microphone Tim can also perform in full impersonation tribute as "Frank Sinatra." 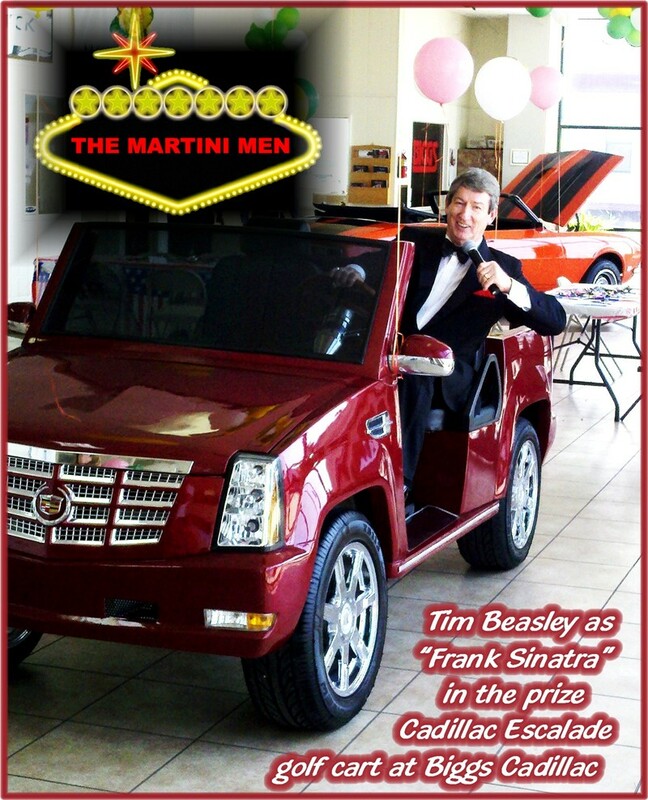 Being a national "Las Vegas-style" entertainer coast to coast, it's a good bet you'll find Tim in a 'Rat Pack" or "Rat Pack" era show like his "Martini Men" TM near you! 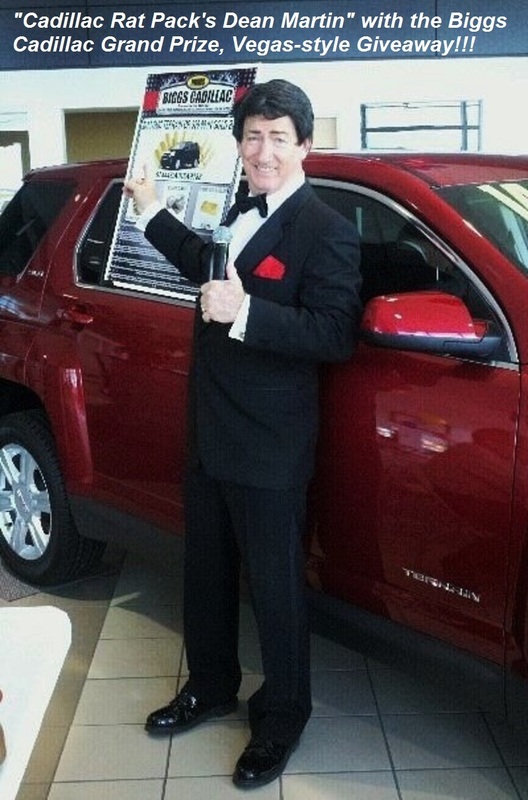 professionally as "The Cadillac Rat Pack" TM for V.I.P. -style premiere events! Holidays and New Year's Eve Shows booking nice and early for 2016. There's lots of choice dates still open! Please call, we love to talk, and you can text,too!